Japan isn't the first country Americans think of when it comes to whisky. We’re used to our Scottish scotch, our Kentucky bourbon, and our backwoods moonshine. However, these guys have been doing remarkable things with booze since the late 1800s. While there are only nine active distilleries currently operating in the small country, the sheer amount of quality whisky they put out into the world is staggering. If you know where to look and have a Ben Franklin or three to spare, you can get your hands on some of the best-tasting whisky on earth. Having recently sat down with Suntory Chief Blender Shinji Fukuyo for an exclusive tasting of Japanese Harmony, I was blown away by the flavor of this blended whisky. 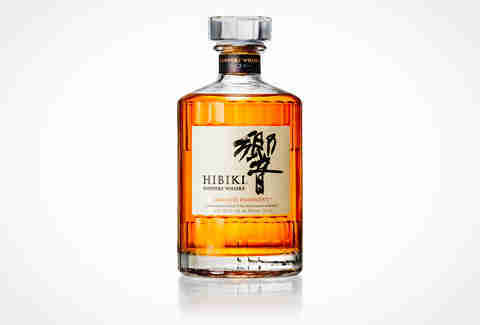 Harmony is made with elements of Hibiki's 17 Year Old and 21 Year Old, as well 10 other malts and grains. The sherry cask aging process leaves Japanese Harmony with a sweet candied orange peel and white chocolate flavor, with a long oak finish. Truly an amalgamation of wonderful flavors. A well-trusted source tells us of this whisky's distinct hints of "butterscotch, cotton candy, and a bit of freshly cut grass" as well as "corn bread, marshmallows, soft caramel candy, white pepper, nutmeg, [and] agave syrup on the palate." That is quite a mouthful but in reality, Togouchi Premium is a nice gateway for newly-converted scotch drinkers who still long for the comforting taste of bourbon. What makes Togouchi particularly different from the other bottles on this list is the source of the ingredients—Scottish malt and Canadian grain. It's basically the army brat of boozes. Having the pleasure to try the Hibiki 17 Year Old right next to Hibiki's Japanese Harmony with Suntory's Chief Blender was an experience many don't get to take part of—unless you're best buds with Shinji Fukuyo and I DON'T THINK YOU ARE. As long as we're on the subject of things you can say about whisky that you can't say about people, this 17 year old is heaven on the tongue. A nose of peach, apricot, melon, rose, lily, and lemon leaf combined with a palate of toffee, black cherry, vanilla, and Mizunara makes this autumnal whisky, crisp and perfect with a block (or death star) of ice. If you're ready to move up from those bottom-shelf whiskies, one of the biggest steps you could possibly take is the Yamakazi Sherry Cask Single Malt, frequently deemed one of the greatest whiskies in the world. Aged in Spanish sherry casks crafted from oak, Suntory specifically doesn't reveal how long the whisky is kept in the barrels, infusing mystery within the robust flavor every Yamazaki bottle in their line-up promises. If you're wondering about the high price point, ​only 3,000 bottles were released and—chances are—you're probably not going to get your hands on one. It shouldn’t be a surprise that Nikka is on this list twice. These guys put out some magnificent whisky. 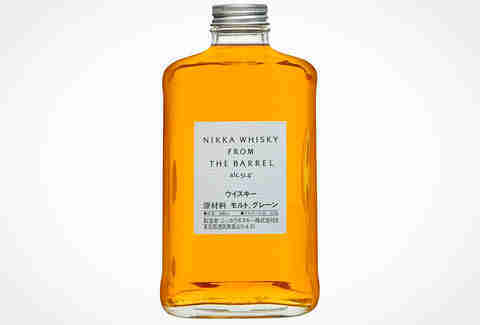 Unlike the aforementioned Nikka Whisky From The Barrel, Nikka Taketsuru brings together malt whiskies hailing from Nikka’s Yoichi and Miyagikyo distilleries, giving this strongly vanilla-scented bottle an extra sweet and spicy taste followed by a butterscotch-honey-mutant afterthought. 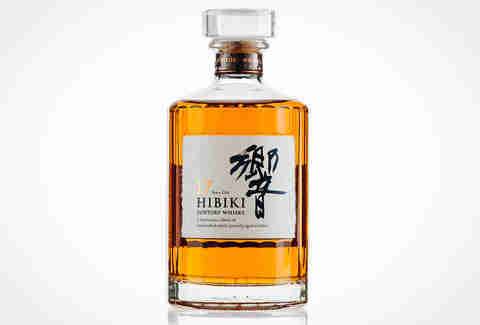 Winning the top prize in its category at the World Whisky Awards in 2007 and 2010, as well as a Whisky Advocate Whisky of the Year in 2018, Nikka Whisky comes together in a process known as "marriage," in which matured malt whisky and grain whisky are blended together and then re-casked to create a new delicious concoction from two distinctly different flavors. 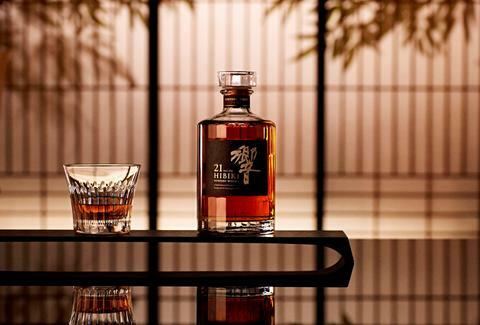 Hailing from Nikka's Yoichi distillery in Hokkaido, Nikka Whisky From The Barrel's minimalist bottle matches the taste: soft, rich, easy, and not without charm. Literally translating to "at the foot of Mount Fuji," this savory and smoky 18 Year Old whisky is absolutely dripping with Japanese clout. The lemon, pineapple and apricot nose gives way to a spicy-yet-light-bodied taste that is truly meant to be savored, rather than slurped up like a hungry St. Bernard. Distilled in the Japanese Alps on the main island of Honshu, Shinshu Twip Alps is a tasty and approachable blended whisky that’s actually considered on the cheap side back in Japan. The subtle spice combined with an oaky aroma and deep, fruity flavor makes it extremely easy (almost too easy) to drink in one sitting. Be careful with this one, it’s not as hard as you think to go through an entire bottle in a week. Japan's Hakashu Distiller is reportedly surrounded by forests at the foot of the Southern Japan Alps and fresh water nearby gives this very Scotch-like bottle a delicious pear-mint taste and finish of smoky green tea. The 12 Year Old is delicate with a tropical fruit aroma and is making this writer's mouth fill up with saliva with every tap on the keyboard. Coming from quite literally the oldest distillery from Japan, White Oak Akashi Blend blends 70% corn grain with 30% malted barley to make a 100% delicious, sweet, malty blended whisky. Consider White Oak Akashi for the bourbon drinkers out there looking to sashay into the world of Japanese whisky. Sweet, caramel-y, full-bodied, but simple. It’s definitely not the ultimate example of what the Japanese are capable of in terms of booze -- and the price tag reflects that -- but consider this a good transitional whisky.